Get ready for the future of music with Republic Records. 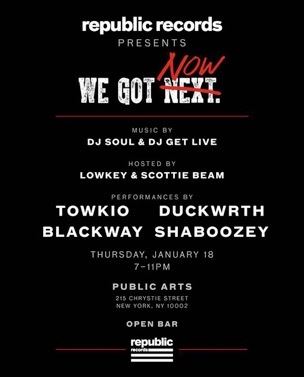 We Got Now, is an event that displays the best up and coming artists in the industry. Be sure to attend. Details below.